NM Oliver Chernin was the favorite in today’s top quad and proceeded to win it despite a minor setback in round two against Eric Zhang. The middle section was a six player swiss. 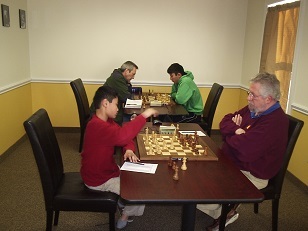 Regular Leo Bykhovsky emerged victorious with 2.5/3 while Nowell Sheinwald and Kenneth Young tied with 2/3 each. 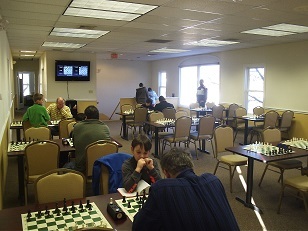 After drawing each other in the final round, Robert Steindorf and Dylan Young shared first place with 2.5/3 each in the final quad.